Karuna Nepal exists to advocate on the behalf of women and children who are often living with drug abuse and/or HIV, to rescue and release them from the streets, and to enable them to become responsible and ideal citizens. Karuna Nepal exists to alleviate the needs of children and women living in the streets who are often dealing with a drug addiction and/or HIV, and to ultimately enable them to leave the streets and become responsible and ideal citizens. 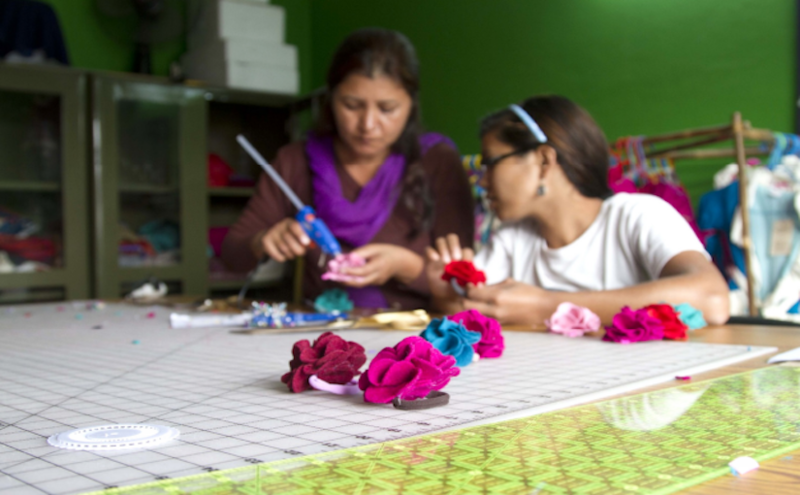 This program in Kathmandu, Nepal offers women from exploitive situations a positive alternative for employment. The 12-18 month program includes counseling, rehabilitation, and skills training. Over 20 women have graduated from this program and are now positively employed, supporting their families and earning respect in their communities. Funds are needed for monthly stipends, meals, and tutoring. Be a part of a offering hope and change to a young lady in Nepal.